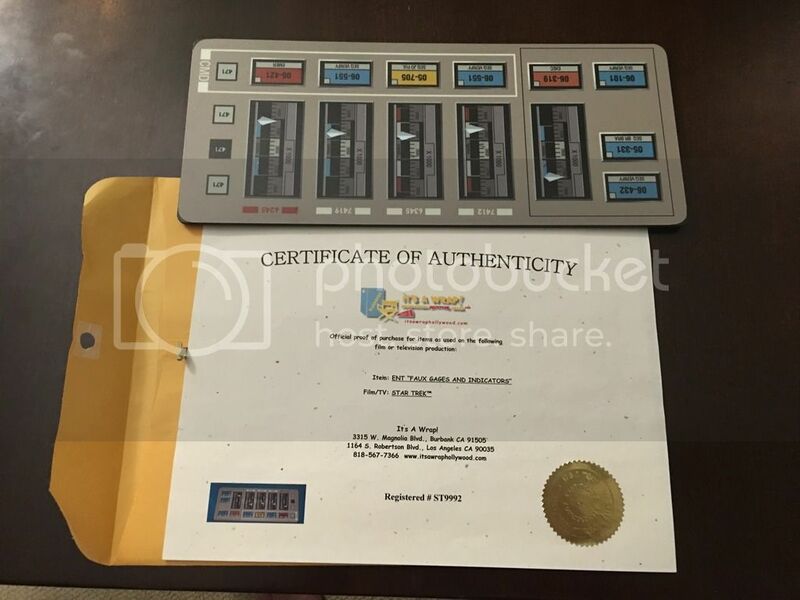 A faux instrument board made for scenes in various episodes of Star Trek: Enterprise. The item is composed of sheet plastic with rounded corners and graphical applications adhered to its face. The item depicts multi-colored indicators and statically positioned gauges. The indicators are labeled ‘CMD’ on one item and “AUX’ on the other. The item measures approx. 12.5 X 5.25 inches. Looking to get $210 and I'll pay shipping. Paypal preferred. Smithsonian National Air & Space Museum conservator Malcolm Collum tells us about how the Smithsonian team pulled apart the classic "Star Trek" USS Enterprise model for their work.